Download the ER Mobile App for free from the Apple App Store or Google Play Store and keep up with the latest at ER. The app allows you to view upcoming events calendar and receive push notifications, report your child’s school absence, link to teacher websites, refill lunch money accounts, and much more! 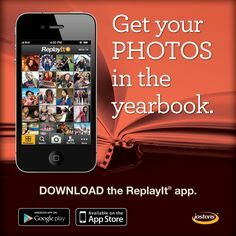 Download it today and get connected! Back to School Night will be on Tuesday, August 8th 2017 at 5:30 pm beginning in the Multi-Purpose Room. All parents are invited to attend this very important night. This is a very important night of the year-We hope you will be attending. Please note that students should not be accompanying their parents into the classrooms for the teacher presentations. This is our parents’ opportunity to understand the curriculum and expectations for the year. We hope you will be able to make childcare arrangements for this evening. The students will meet their teachers on the first day of school, Thursday, August 10, 2017. It’s that time of year again…and you DON’T WANT TO MISS IT!!!! This year’s Spring Fling is themed “Our Neighborhood Block Party”. MAY 19th, 5PM – 8PM. Plenty to do for the whole crew…Game Truck, Food Trucks, Huge Rock Wall, Classroom Carnival Booths, Air Jumpers, Hamster Balls to run around in, Raffle Baskets, Silent Auction, and a Little Tikes Obstacle Course for the young ones. Come hang out, enjoy the music with our Live DJ…take some pictures with friends & family in our awesome Photo Booth. I guarantee you’ll have a great time!!!! Tickets are still being sold today and tomorrow after school in the courtyard! Don’t miss it, its gonna be a great time for all! Staff Appreciation week is coming up. This is a chance for all of us to thank our teachers and staff for all that they do for our students! 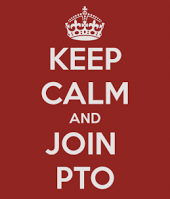 PTO has some exciting things planned including a catered lunch, breakfast bar, BBQ lunch, and more! There are several ways that you can help to make it a great week for our ER staff. 1. Donate gift cards for a teacher/staff raffle by Wednesday, 5/3.  You can send in gift cards in any denomination (teachers love Starbucks, Target, movie tickets/gift cards, DSW, restaurant gift cards, etc.).  You can attach a note from your family with the gift card.  Please turn in all gift cards to the office by Wednesday, 5/3 (put gift cards in an envelope marked “PTO: Staff Appreciation”). 2. Write a note from you/your family about a teacher or staff member who has made a positive impression on you or helped you in some way by Monday, 5/1.  Don’t forget the staff too (not just teachers).  We would like to have a minimum of two from each grade.  Mr. MacNeill will read a selection of them during morning announcements. Please email your message to Mr. MacNeill or drop off a card/note to the PTO mailbox by Monday, 5/1. 3. Donate breakfast items (see suggested donation list below) by Monday, 5/1.  Please drop off items at the front office no later than 3:00 pm on Monday, May 1. Refrigerator space will be available. Dine in or Carry Out , Steve’s Pizza will donate 20% back to the ER PTO, just mention Elliott Ranch PTO when ordering so that we can get credit! Steve’s Pizza , 9135 Stockton Blvd. near Best Buy and across the street from Home Depot. Each paid golfer will enjoy 9 holes of golf, dinner , 1 non-alcoholic beverage, 1 new and improved LED Glow Ball, 1 glow in the dark necklace (required to wear). Please bring your own flashlight! There will also be adult drink tickets for sale, raffle, and closest to the pin contest. Entry is limited to the first 45 paid golfers, so hurry and reserve your spot now! great way to encourage your child to read while helping to raise money for our school! You can sponsor your child per book or you can donate a ﬂat amount. minutes will have a donut party! they are reading appropriate books for their age levels. and enjoy a donut, juice and a special visit from Santa! Minimum Days are coming and the ER PTO will be hosting movies immediately after school during the week of November 14-18, 2016. School gets out at 12:05PM. Movies will start at approximately 12:20PM. Dont’ forget your pillows and blankets. 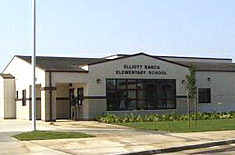 Children do not need to be accompanied by an adult but do need to be current students at Elliott Ranch Elementary School. Please remember that your child must be picked up promptly at 2:15 PM!! Please email movie@elliottranchpto.com if you have any questions. Present the flyer below at your visit! Please join us for the 2016 Elliott Ranch Harvest Dance! Elliott Ranch Apex Fun Run is on Wednesday, October 12, 2016! The Elliott Ranch Apex Fun Run will be held on the morning of Wednesday, October 12, 2016. Let’s go ER Rockets ! Let’s keep the ER PTO Membership Drive going strong as we “Run” towards 100%! A huge thanks for all the families and friends who have joined the Elliott Ranch PTO! Your efforts with your time volunteering, your financial support, and just being involved at ER is what makes our school great. Without all the parent and family involvement, our school would not be as excellent a place for our children learn and grow. Each year the funds that the ER PTO raises goes to numerous programs that directly improve the experience of your child. For example, the Library , Art Docent , Project Lead the Way (PLTW) STEM program, Harvest Dance, Spring Fling, Ice Cream Social are just to name a few of the many programs that the PTO directly supports. This year , the PTO hopes to raise enough to provide Elliott Ranch with a new running track. Many of you have seen the condition of our current “track” and have expressed concerns over safety for our children when they are at P.E. and recess. If we could build a new track, it would coincide with our new APEX Fun Run program scheduled for this October and would serve ER students well for years to come. Please join us if you haven’t already, to make Elliott Ranch Elementary School, the model that all other schools in not only Elk Grove, but the entire country strive to become. Here’s our recognition board in the MP room, please fill our the membership form below and return it along with cash, check, or online payment to your child’s teacher, the front office staff, or administrator to be recognized on the board this year! Thank You so much and GO ER ROCKETS! Come and meet up with old friends, meet new friends, and show your ER Rocket School Spirit! The first day of school at Elliott Ranch Elementary is this Thursday, August 11, 2016. There are a lot of new and exciting things happening at “The Ranch” this year! Please download the Elliott Ranch Elementary Mobile App for iPhone, iPad, and Android devices. You can turn on and off push notifications to receive messages in real time directly to your mobile device. Please join us for our last ER EATS OUT of the year! Please bring the attached flyer and 15% goes back to our school. Keep an eye out for a special visitor that will be by afterschool tomorrow! ER PTO is planning some exciting things to show the ER teachers and staff how much we appreciate them!